The book doesn’t seem to be available on Amazon until May 1, but Edinburgh University Press lists its release as April. 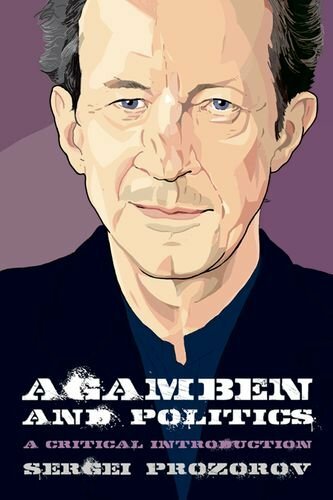 Tracing how the logic of inoperativity works in the domains of language, law, history and humanity, Agamben and Politics systematically introduces the fundamental concepts of Agamben’s political thought and a critically interprets his insights in the wider context of contemporary philosophy. Agamben’s commentators and critics tend to focus on his powerful critique of the Western political tradition in the Homo Sacer series. But this narrow focus serves to obscure the overall structure of Agamben’s political thought, which is neither negative nor critical but affirmative. 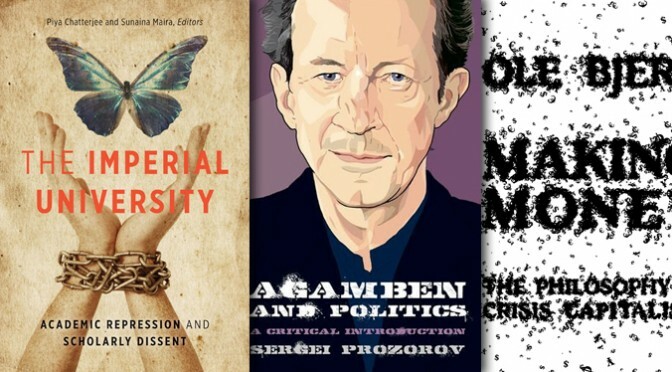 Sergei Prozorov brings out the affirmative mood of Agamben’s political thought, focusing on the concept of inoperativity, which has been central to Agamben’s work from his earliest writings. Public reasoning, a manner of democratic deliberation that can generate meaningful conceptions of justice, the collective good, and other unifying political values among individuals subscribing to varied and contrasting doctrines, has been a perennial concern among political philosophers from historical thinkers such as Immanuel Kant to contemporary theorists like John Rawls and Jurgen Habermas. 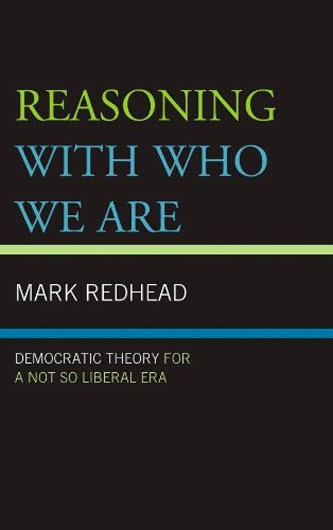 In this ambitious study, Mark Redhead explores versions of public reasoning in the works of six of the most important voices in contemporary political theory; Alasdair MacIntyre, Charles Taylor, Hannah Arendt, Seyla Benhabib, Michel Foucault, and William E. Connolly. He identifies an important but as of yet unappreciated version of public reasoning–, one that provides creative and effective responses to questions at the forefront of liberal democratic political thought: human rights, secularity, and global governance. What is money? Where does it come from? Who makes it? And how can we understand the current state of our economy as a crisis of money itself? 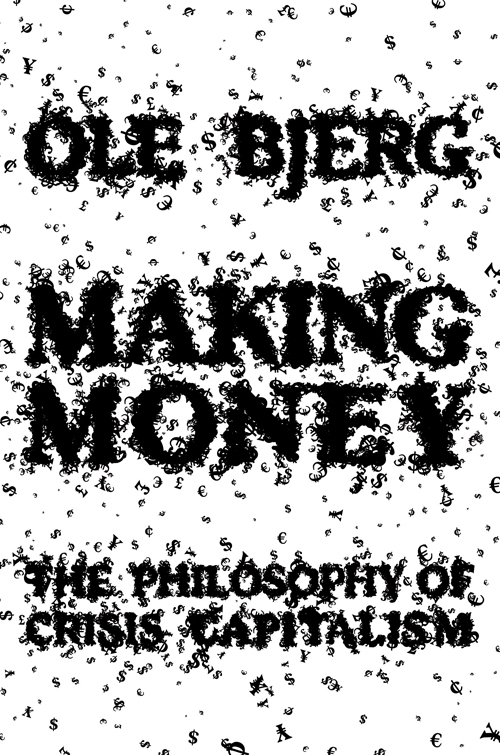 In Making Money, Ole Bjerg turns these questions into a matter of philosophical rather than economic analysis. 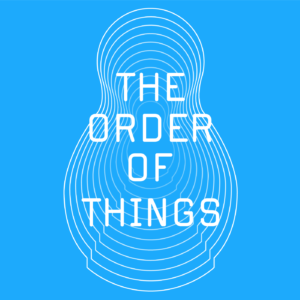 Applying the thinking of Slavoj Žižek and other scholars to mainstream economic literature, Bjerg provides a radical new way of looking at the mysterious stuff we use to buy things. It is a theory unfolded in reflections on the nature of monetary phenomena such as financial markets, banks, debt, credit, derivatives, gold, risk, value, price, interests, and arbitrage. The analysis of money is put into an historical context, suggesting that the current financial turbulence and debt crisis are evidence that we live in the age of post-credit capitalism. By bridging the fields of economics and contemporary philosophy, Bjerg’s work engages in a compelling form of intellectual arbitrage. Have you ever considered the ideological function of standing on a crowded train? Maybe not, because (in my experience) usually the only thought that comes to mind is how horrible and overpriced the train is and what your plans are upon arriving at your destination. 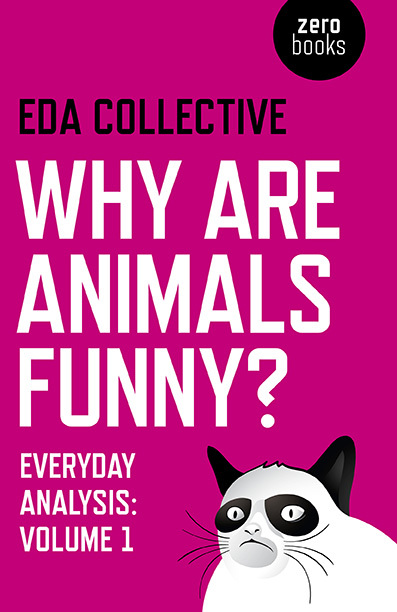 In their new book ‘Why Are Animals Funny?’ Everyday Analysis (EDA) – a group of Manchester- and London-based writers known as the ‘EDA Collective’ – offers a critical, philosophical, psychoanalytical perspective of things we experience every day that are often accepted, unchallenged and unquestioned. In the spirit of Roland Barthes’ ‘Mythologies’, the 46 short articles make up a compendium of cultural and political analysis. The articles were collected from their blog http://www.everydayanalysis.com/ which began back in January 2013 and is still regularly being updated. Some of the articles are funny and droll, while some incite discontent, and others evoke empathic understanding and a sheepish “I never thought about it that way before”; all are wonderfully written, well-informed, and (most importantly, I think) accessible. At colleges and universities throughout the United States, political protest and intellectual dissent are increasingly being met with repressive tactics by administrators, politicians, and the police—from the use of SWAT teams to disperse student protestors and the profiling of Muslim and Arab American students to the denial of tenure and dismissal of politically engaged faculty. The Imperial University brings together scholars, including some who have been targeted for their open criticism of American foreign policy and settler colonialism, to explore the policing of knowledge by explicitly linking the academy to the broader politics of militarism, racism, nationalism, and neoliberalism that define the contemporary imperial state. The contributors to this book argue that “academic freedom” is not a sufficient response to the crisis of intellectual repression. Instead, they contend that battles fought over academic containment must be understood in light of the academy’s relationship to U.S. expansionism and global capital. 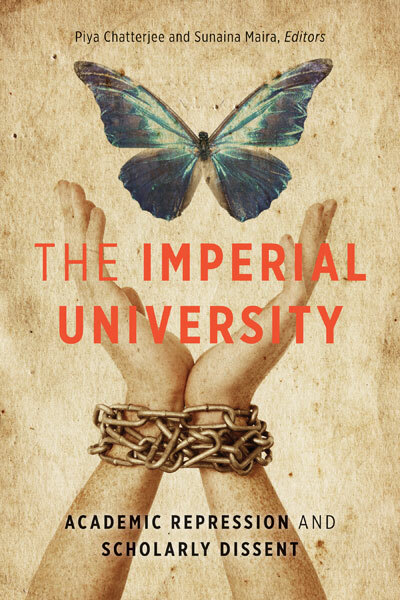 Based on multidisciplinary research, autobiographical accounts, and even performance scripts, this urgent analysis offers sobering insights into such varied manifestations of “the imperial university” as CIA recruitment at black and Latino colleges, the connections between universities and civilian and military prisons, and the gender and sexual politics of academic repression.